While the Major League Baseball season is just a couple of months old, it is already possible to spot who will be the major contenders when the playoffs arrive in September. A look at some of the potential dark-horse teams for this year’s Major League Baseball playoffs. However, just like Oakland A’s team managed last season, it is possible for a surprise team to make it through. One possibility is the San Diego Padres. The best odds on the team to win the World Series are 45/1 at Bet365. However, they are just two games under 500 at 32-34 which places them fourth in the NL West and 7.5 games out in the wild-card race. While the numbers aren’t great, the offense has continuously exceeded expectations and still has plenty of room for improvement. If the team gets it together then they could end up surprising everyone. 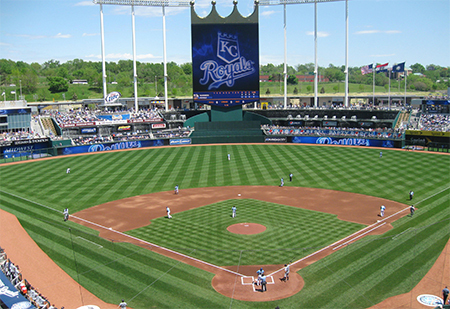 Another team to keep an eye on is the Kansas City Royals with odds of 33/1 at Bet365. During the offseason the team acted aggressively to bolster its starting rotation. They re-signed Jeremy Guthrie to a three-year deal and acquired Ervin Santana, James Shields and Wade Davis. The team is currently in third place in the AL Central, 5.5 games behind the Detroit Tigers, a game behind the Cleveland Indians and six games back in the wild-card picture. All the team needs to do is get its offence working a bit better to have a real shot at success.